There’s still nothing quite like the real thing, though! Cycling isn’t just an activity; it’s an experience. Every time you take to the road or ride on a trail, you experience a new part of the world around you. Yes, even if it is just the cacophony of traffic in Tokyo. Of course, not everybody has the time or the drive to commit to a regular cyclist’s lifestyle. Thankfully, there is a good alternative for those who, for one reason or another, can’t really go out and burn through calories on the open road: exercise bikes. The thing is, it seems that over the years exercise bikes have started to get not only more and more high-tech, but more and more unusual as well. One prime example would have to be the slot machine exercise bike. Yes, this is a real thing; or at least it was. Back in 2000, a company called Fitness Gaming Corp came up with the idea of encouraging casino patrons to exercise by hooking up a slot machine to an exercise bike. 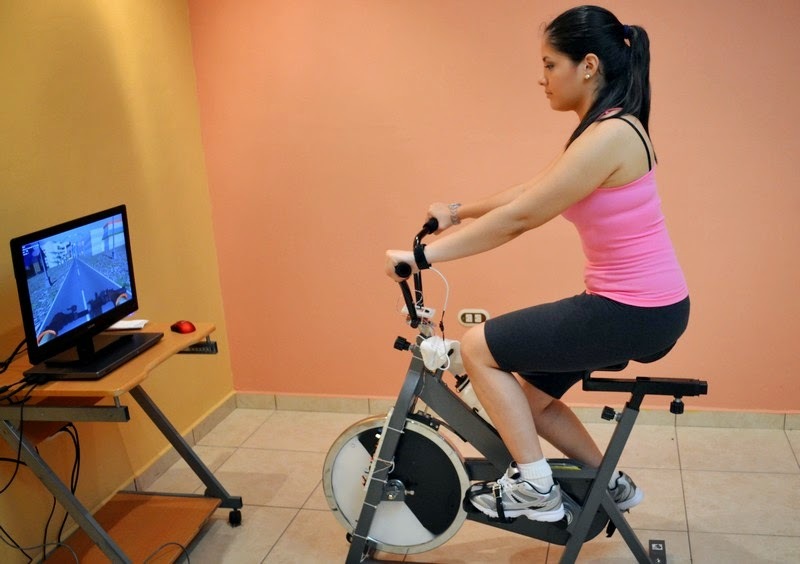 The exercise bike can only be pedaled if you use the slot machine, which is controlled using buttons on the handlebars. There’s even a cup holder for your quarters. Casino gaming is a very hot topic in Japan today, what with talks about passing a bill this month that would allow the nation to build its very first brick-and-mortar gambling establishment. If the bill becomes a law, perhaps the next step would be for big casino providers like Cryptologic – the operator of the world’s first online casino site InterCasino – to follow the Wii peripheral boom a couple of years ago and outfit its online gambling portals with its very own bike peripheral. Now, designers have moved on to making stationary bikes feel more like the real thing. The open-source Smartbike project, for example, is a game you control with your bike and monitors everything from your real pedal speed and handlebar movement to heart rate and calorie burn rate in real time. Others like Citytrip pair the Oculus Rift VR headset with a stationary bike to simulate actually getting out on the road and pedaling, even through fantastical alien worlds! While the technology behind these innovations are quite impressive, it feels like there’s still a ways to go until you can successfully replicate the real feeling of cycling in your living room. After all, you can’t really feel the wind and the bumps you ride over when you’re stuck pedaling a stationary bike.